Keeper of the Cauldron. : Taking a Break and Making a Plan. 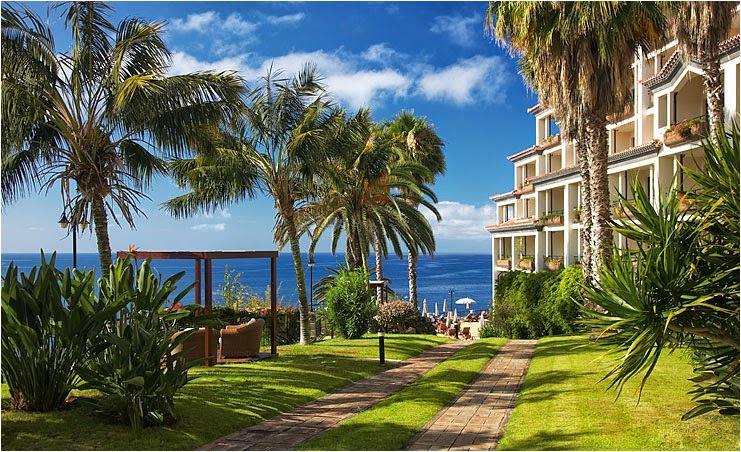 We've just got back from a week's holiday in Madeira in a fantastic, luxury hotel (which was way better than we're used to) with great weather, rest, relaxation and lots of good food and drink. The holiday was paid for out of my husband's pension lump sum and we deliberately chose something that was pricier than our normal lifestyle allows (or that we would ever make a effort to budget for) as we wanted to try a little 5* living now that we are gearing down to retirement and the money was there. It was lovely, but was it worth it? No, probably not, because the things that we appreciate about a holiday are not the "extras" that paying that extra 30 - 40% gives you. It is very nice to have bucks fizz with the breakfast buffet, fresh towels twice a day and a chocolate on the pillow every night, but these things are not key as to whether we enjoy a holiday or not. In a way the 5* packaging actually had a negative "enjoyment" pull as it was almost too expensive. The value of the holiday (in terms of experience) did not rise as incrementally as the cost. Much food for thought. However, what it did bring home to me, once again, is the value of free time and being able to enjoy at least some of it whilst you are still fit and healthy doing things that you may not want to, or be able to when older. There were very few people under 40 in the hotel and a fairly large minority of the guests were in their 70's and over. I'm sure that they did all really enjoy their stay, maybe more than we did, as the surroundings were truly gorgeous and immobility and other health related issues (for some at least) must make the comfort, attention and good quality food at the hotel more important than for those of us who wanted to get out and about and see the sights. What I've brought away from this particular holiday (apart from a tan and an extra half a stone) is the thought that saving and investing for free time is key, but planning for luxury is something that is probably best directed towards later retirement (if possible) because then is when it will be most appreciated. This does turn one of the often quoted principles about retirement on it's head - i.e that needs go down as you move from early to later retirement and become less active. However, and so much does depend on health, I think that (for us) it makes more sense to plan to enjoy freedom and an active lifestyle on a budget in our 60's, but with the view to looking forward to a very indulgent decade in our 80's. Having started at the beginning of your blog, and got to here, I have to say how much I a m enjoying reading it and learning. This particular post is really making me think, as I have also previously been assuming that I will needless at the latter end of my retirement than early on. I may have to go and review my calculations, hopefully won't need to work another few years!